After gaining some weight in college, I decided to make changes to my eating and exercise habits in efforts to be healthier and lose the weight. It’s only been one year and now it’s all I can think about. I get anxious if I can’t work out every day, and I feel awful about myself if I eat junk food or dessert – I’ll actually work out twice as long the next day if I do. I know this is not the healthiest mindset, but I don’t have an eating disorder, do I? Hello, Colleen here, and I have been treating women and their families struggling with eating disorders for four years. This week is National Eating Disorders Awareness Week, and this year’s theme is “3 Minutes Can Save a Life.” The campaign focuses on early screening and detection of eating disorders. The earlier you identify and address your eating and exercise concerns, the earlier you can prevent your behaviors from spiraling into an eating disorder diagnosis. 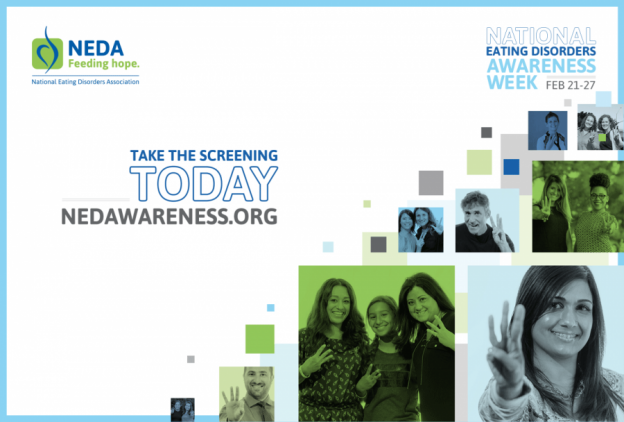 Early screening and detection of eating disorders also increases your chances of recovery, thus preventing the potentially severe health consequences of these disorders. If you are worried your eating and exercise behaviors are teetering on unhealthy, take this 3-minute screening questionnaire. It asks simple questions about your eating behaviors and attitudes, and calculates your risk level for developing an eating disorder. Regardless of your results, if you feel your eating and exercise habits have negatively affected your life, it may be a good idea to consult a professional eating disorder therapist in Bethesda, MD for a clinical evaluation. Individual therapy can be useful to help you explore how your eating behaviors may be connected to your emotions and sense of self worth, and begin establishing new, healthy eating and exercise behaviors.